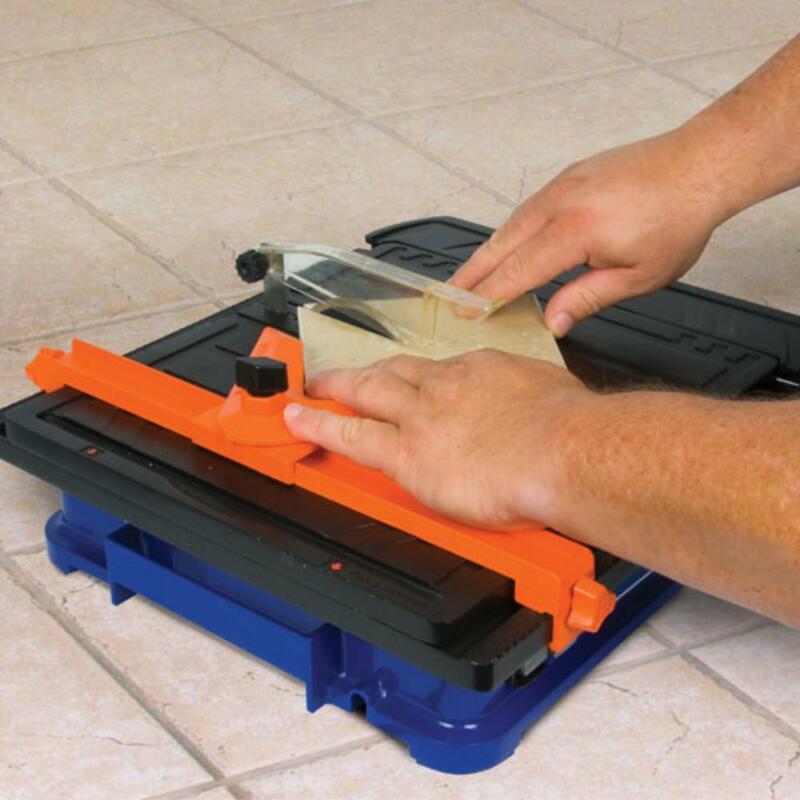 Vitrex 103402NDE Torque Master Power Wet Tile Cutter. Powerful hi-torque geared motor delivers 4600rpm for maximum cutting performance. The 110 x 22mm diamond blade with continuous rim for extra clean cut, producing a 25mm max depth of cut, 17mm max depth of cut at 45°. 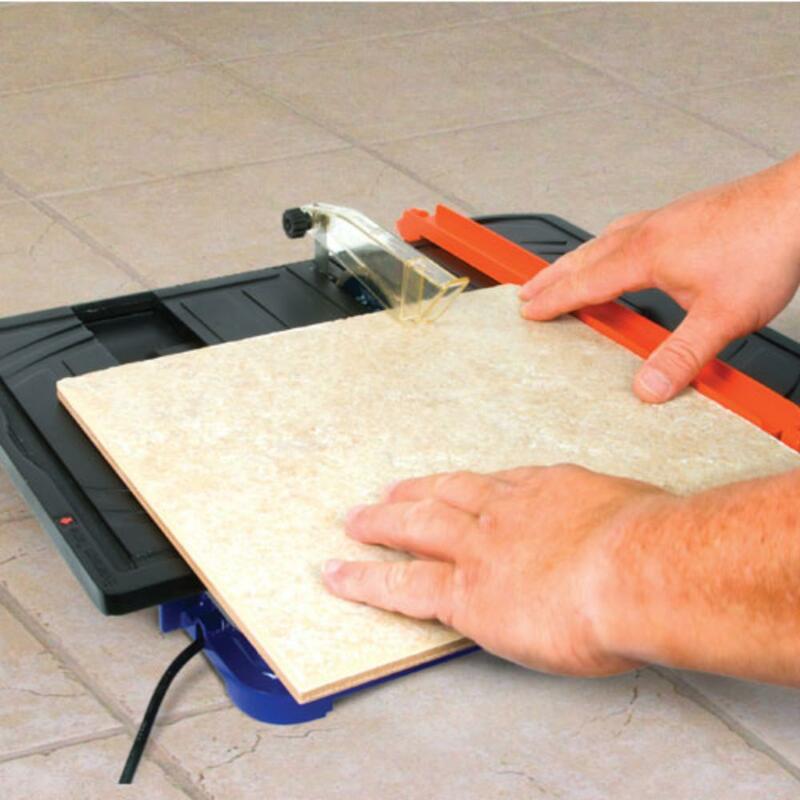 Fully adjustable mitre guide with unique ratchet mechanism, double extension tables for larger format tiles. 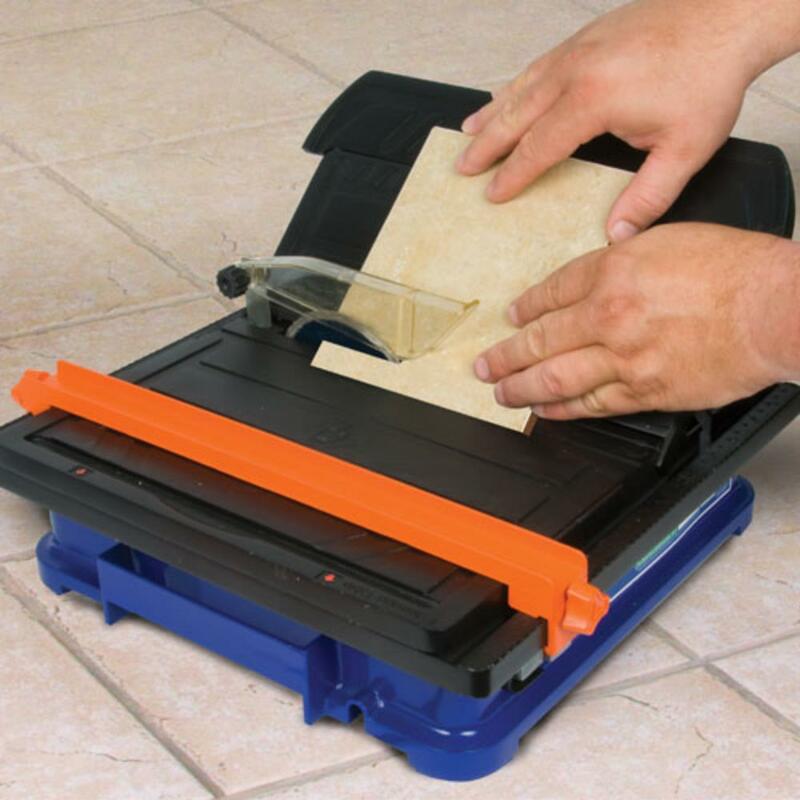 Integral measuring guide & quick release rip guide for perfect straight cuts. 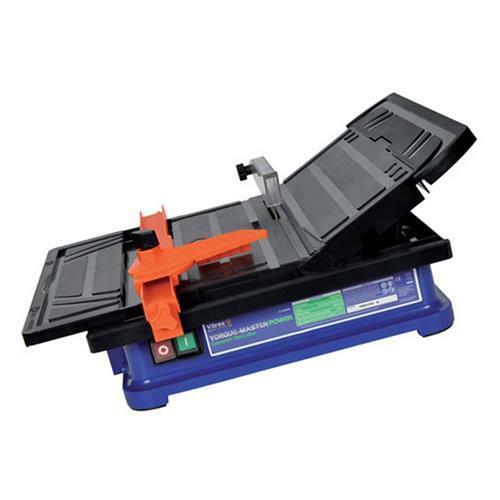 Flip-up cutting table for 22.5° & 45° mitres. "No Mess" water re-circulation system, Quick release splash guard qith variable height adjustments for plunge cuts.